Have you ever come across a job advert that you felt perfectly matched your skills and experience, yet you never heard a word from the employer after applying? Do you often wonder why some people seem to make progress in their career with ease while you are still stuck? Would you like to stand out and be competitive in your industry? If you answered yes to any of the questions, Corporate Staffing Services invites you to a fun filled day of learning and interaction themed; Stand Out! Where you will learn “How to Develop a Personal Brand, Grow Your Networks and Be Competitive in the Job Market”. 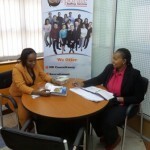 Corporate Staffing Services is a leading HR firm and has recruited for top Kenyan companies and organizations among them UN Women, Action Aid, Safaricom Investment Cooperative, Davis & Shirtliff and AAR just to name a few. Perminus is a Certified HR Consultant, Career Coach and Managing Partner of Corporate Staffing Services, a leading recruitment firm in Kenya. He has over 7 years of experience in Recruitment and has recruited candidates for Kenyan companies and organizations among them UN Women, Action Aid, Safaricom Investment Cooperative, Davis & Shirtliff and AAR just to name a few. Emmanuel is the CEO Brighter Monday, East Africa’s Largest Jobsite. Emmanuel is a Marketing Professional with 7 years’ experience in developing innovative brand strategies across digital and traditional media that position and energize brand awareness. Anne is a HR professional with over 10 years experience in HR and Administration. She is a certified member of IHRM and has a degree in Sociology from Maseno University. Advance Payment Through MPesa Buy Goods Number 89560. SMS Mpesa confirmation to 0798568638 or email cmacharia@corporatestaffing.co.ke. You’ll get a receipt notification from Corporate Staffing Services. 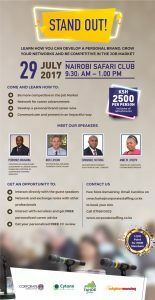 Email Caroline Macharia on cmacharia@corporatestaffing.co.ke to have your slot booked today.